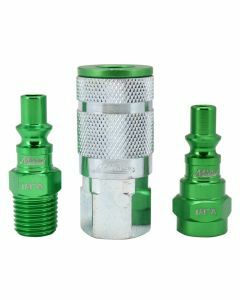 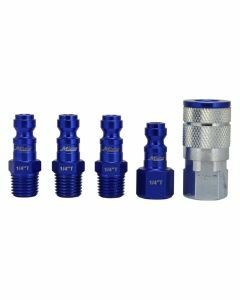 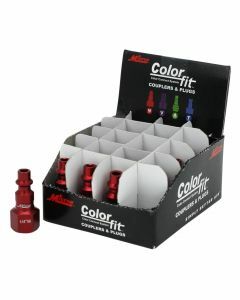 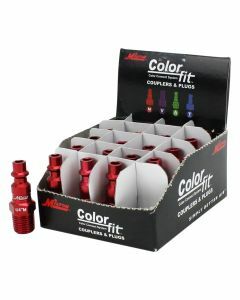 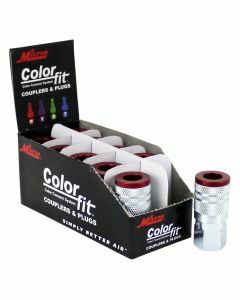 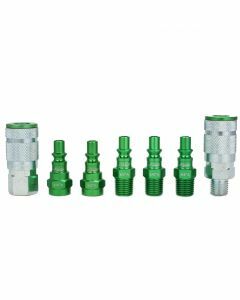 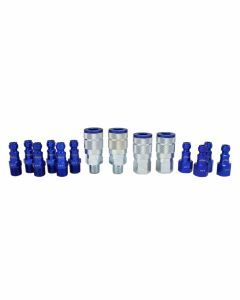 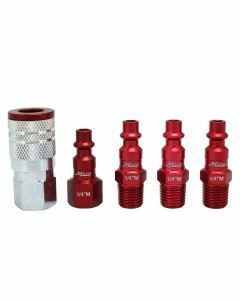 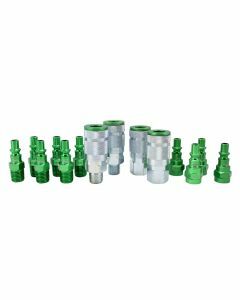 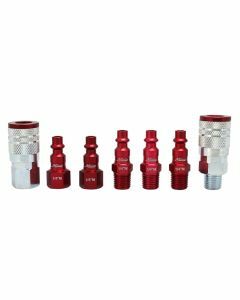 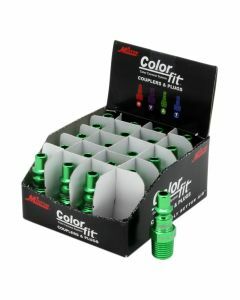 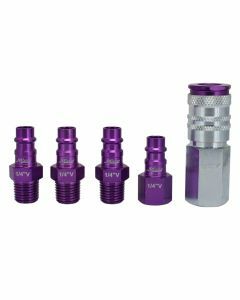 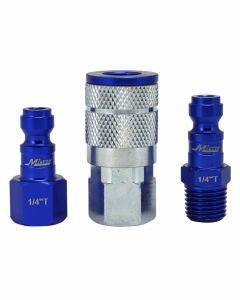 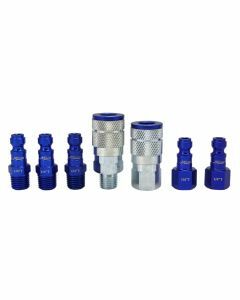 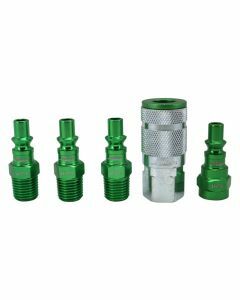 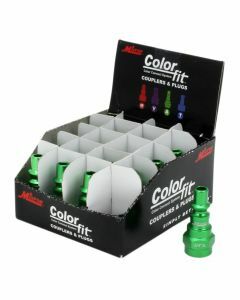 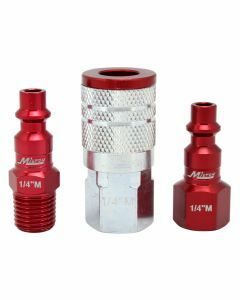 Milton proudly presents a color code system that allows for easy matching of couplers and plugs among the standard styles of pneumatic air coupler quick connects. 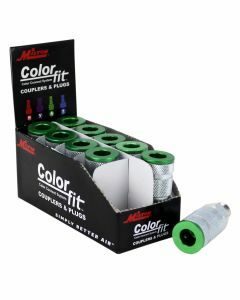 Great way to solve that annoying problem of potential crossing contaminating different air lines. 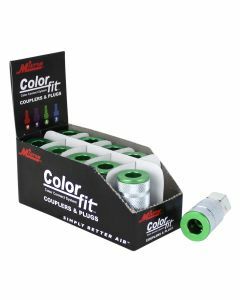 By dedicating certain colors to different air lines, this will eliminate the risk of mixing a lubricated line with a dry air line which will help prolong your applications and quickly finishing any project. 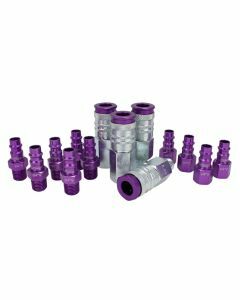 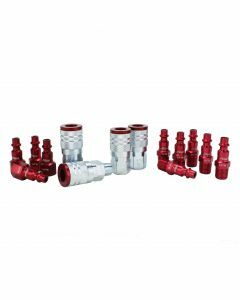 Features HighFlow Pro Coupler and Plugs for up to 70% more flow! 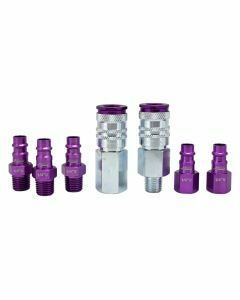 Better performance and value compared to Legacy Colorconnex.